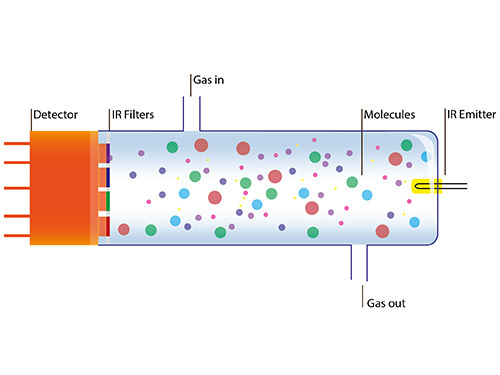 The story of nondispersive IR spectroscopy (NDIR) gas analysis began back in 1943. Today, over 100 different gases can be detected reliably from the ppm to the percent range. This method of analysis is used, in particular, in medicine to analyze respiratory gas, in the automobile industry to analyze emissions, and in chemical applications. The gas to be analyzed is commonly channeled into a sealed room and exposed to an IR pulse source. As soon as the gas absorbs the IR radiation, the attenuation can be detected using a suitable detector. The concentration of the gas can then be determined based on the attenuation. Gas analysis can be carried out with multispectral pyroelectric infrared detectors. 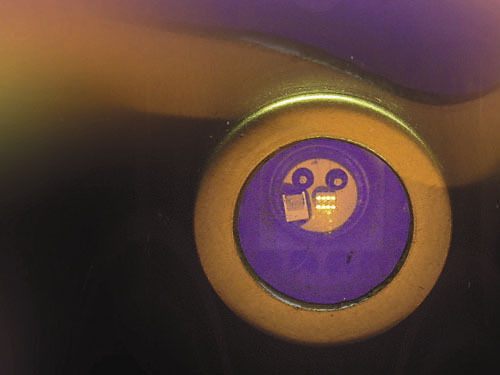 These sensors combine several single-channel detectors in a single housing and are equipped with different filters. This setup allows the individual detectors to detect different gases. Currently, it is possible to carry out up to four measurements with a single detector. Multispectral pyrodetectors make it possible to design very compact gas analyzers.